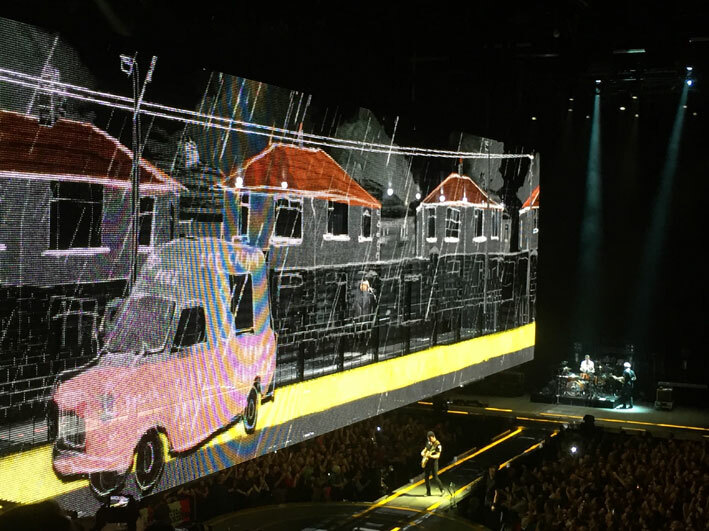 U2 Concert, Dublin – A truly amazing brand experience! 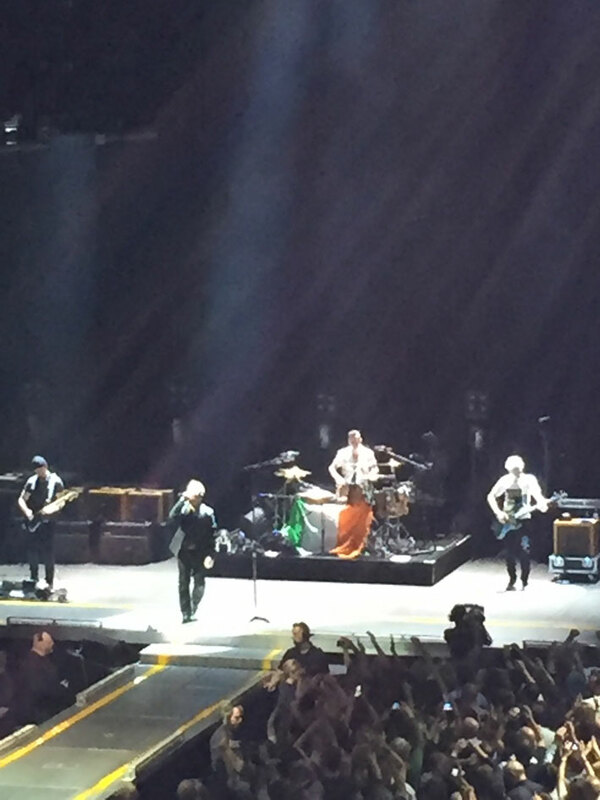 We were very fortunate that we got tickets for the second U2 Dublin concert last night. We were really looking forward to this and we expected it to be fantastic but it completely blew us both away! 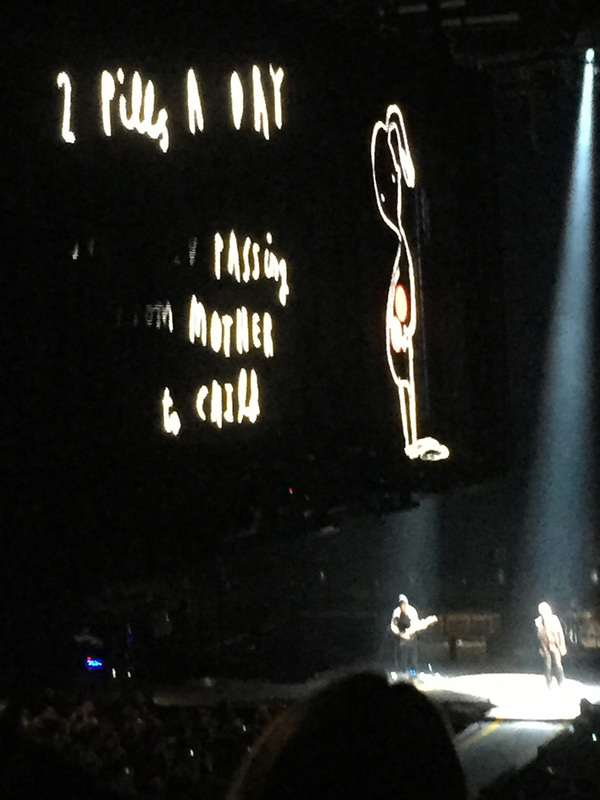 Aside from the music and just being there at one of their Dublin concerts, I of course could not wait to see how the graphics were going to work, positioning wise, where they would be and how they would look? Would there be one main design style consistently running throughout the show or would it keep changing? What type of design styles, illustrations, typography would there be? Atmosphere wise, the whole place was electric and we commented on the fact that every age group were present. It was lovely to see so many families aswell, young teenagers and smaller kids with their parents. I can imagine the younger folk must have been in awe with the graphics. As you can see from the photos attached and I took many, we were lucky to be in a great position! 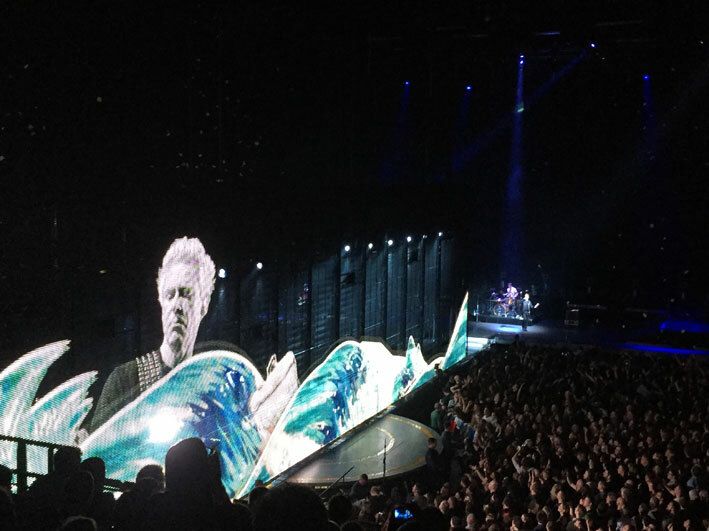 The photos show how the video screen worked. 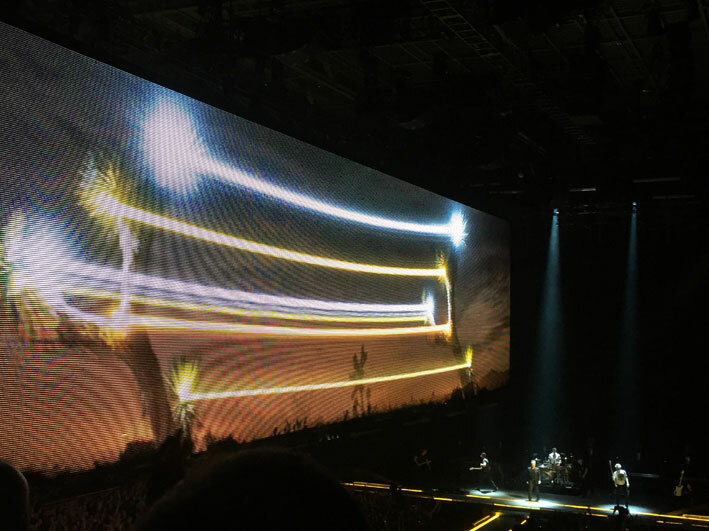 It was this massive construction like a sandwich of two video screens that went across the length of the floor space, from the main stage and moved up and down aswell, sitting on the ground at stages and mostly hanging high up in the air. 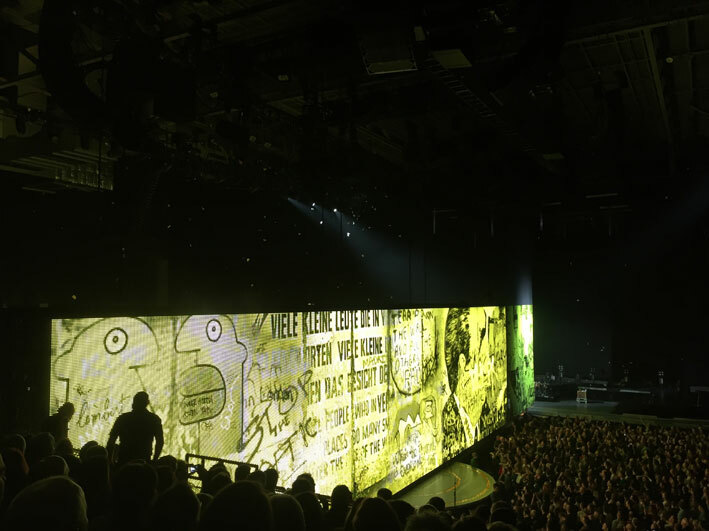 This also played an important role for the band who moved around the stage a lot so you felt close to them, but also they could stand and move around within it. 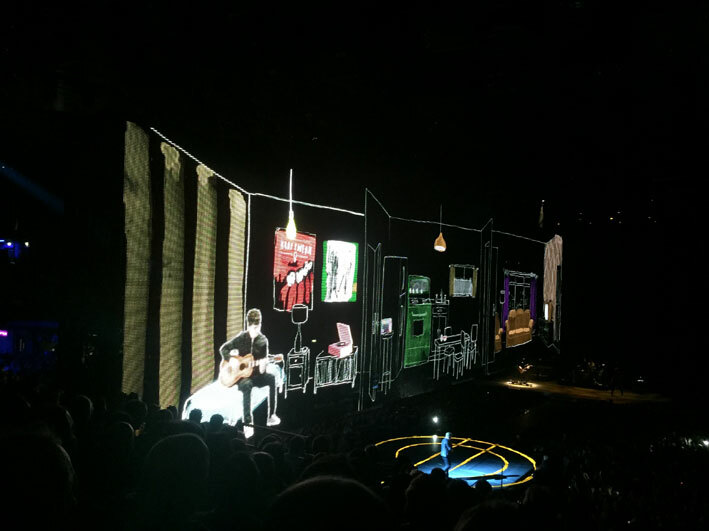 This played an important role for “Cedarwood Road” in particular, when Bono looked as if he was part of the visuals for this song, walking along Cedarwood Road. 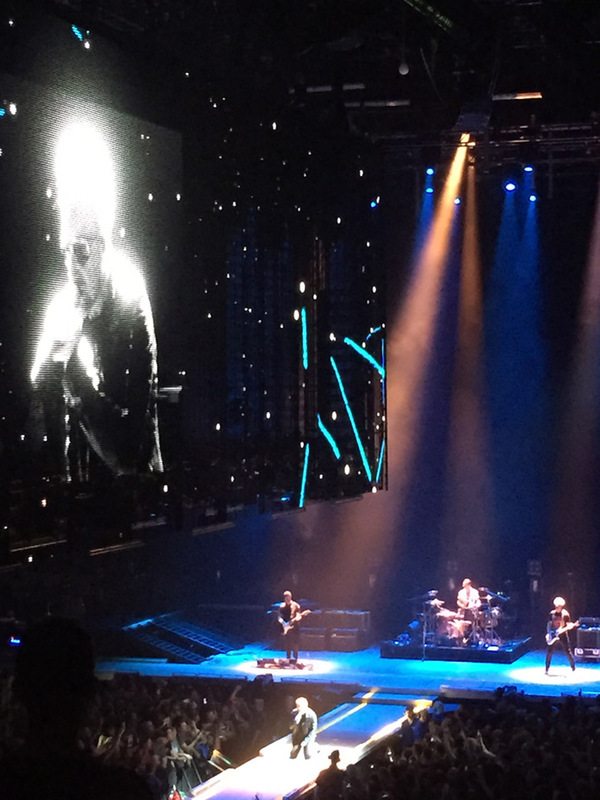 I read an article earlier today from Hot Press, by Olaf Tyaransen who interviewed The Edge earlier in the tour. It’s a brilliant interview and the link is at the end of this if you would like to read it. 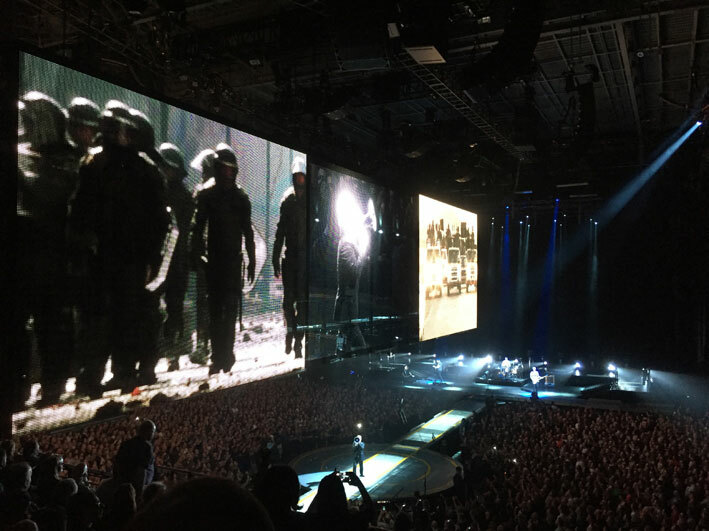 In the article they discuss a wide variety of topics, including the planning of the visual aspects of the concerts which have always been integral to the whole brand experience that is U2. The graphics throughout were stunning and they had real purpose and meaning. You can see what I mean by the photos. 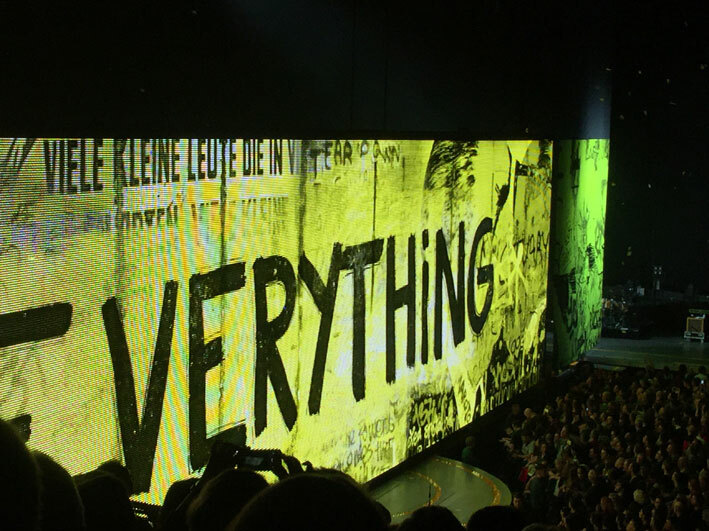 I was thinking in the run up to the concert, would there be overkill from Bono when it comes to his communication on specific topics. They managed to get the perfect balance between his comments on different issues (which weren’t too many) but the graphics were able to say it all. Obviously this was a brilliant strategy and they got to the heart of issues that are so close to their hearts. It may sound cheesy but I felt really proud of them and knowing that this tour has travelled all over the world. They give it 100% and remain completely authentic and true to themselves and to the brand that they have created and maintained. 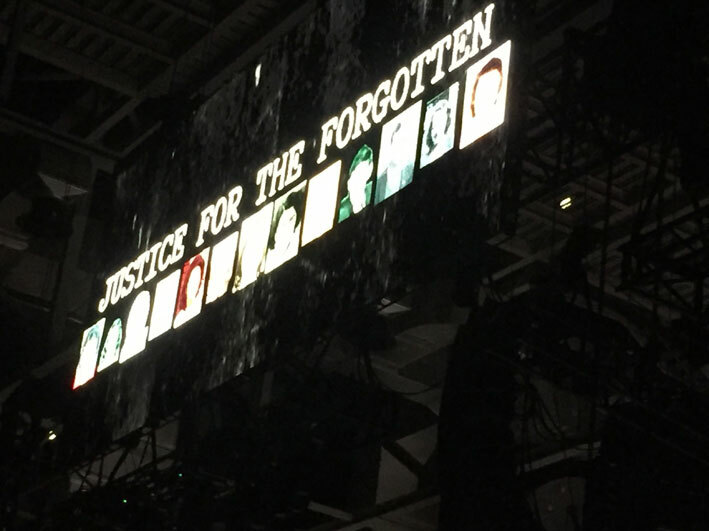 “Speaking of ‘Raised By Wolves’, Jim Rodgers, the former Lord Mayor of Belfast, has been critical of that song and what he calls its provocative onstage visuals (focusing on the 1974 Dublin/ Monaghan bombings – OT). 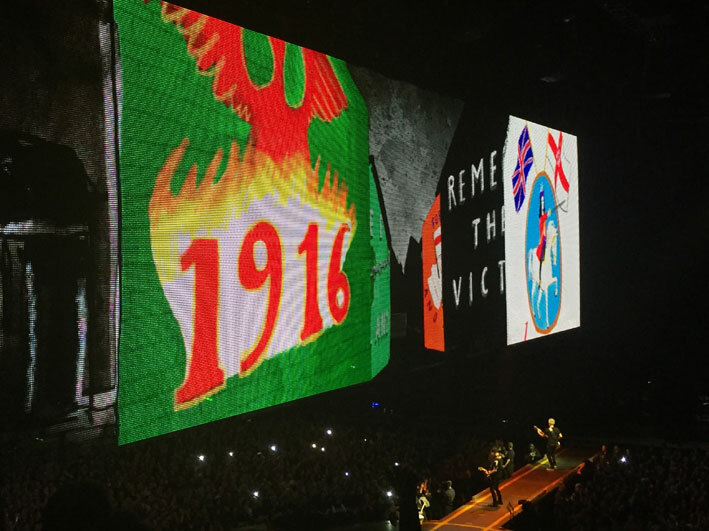 Will you be playing it in Belfast? How much thought goes into these things on a city by city basis? Take a look at the photos and see what you think. It was an amazing experience with intricately designed and planned graphics, which were also very well balanced in their portrayal and they did what graphics should do: they communicated clear messages in a clever way, getting them noticed in a massively competitive market and long may that continue!…We are still on a high from this unique brand experience and if you are going to one of the other two concerts in Dublin, you are in for a massive treat!